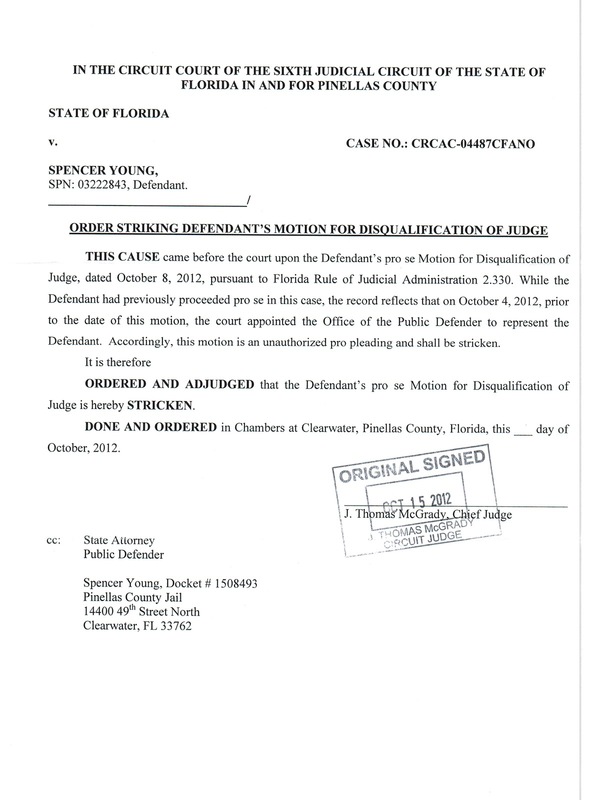 MorganStanleyGate: Motion To Disqualify Corrupt Pinellas County Judge Thomas McGrady Is Rejected . . . By McGrady ! Motion To Disqualify Corrupt Pinellas County Judge Thomas McGrady Is Rejected . . . By McGrady ! 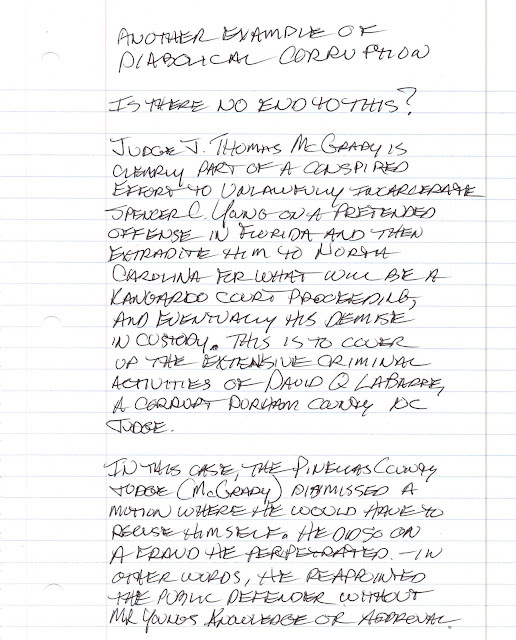 You've heard the story about "the Fox who guarded the hen house" -- well, here is a real life example whereby a Pinellas County Judge, Thomas McGrady unilaterally decided for himself whether he should be involved in a matter where McGrady has clearly played a criminally corrupt role in UNLAWFULLY incarcerating an American citizen in maximum security jail on what he knew to be FALSE charges (which were later dismissed) and intended to cover up the felonies of a corrupt judge in North Carolina (David Q. LaBarre) and LaBarre's girlfriend (Leah R. Krier). You will note two of McGrady's accomplices are copied on the absurd and patently illegitimate order below -- to wit, Pinellas County (FL) District Attorney (Bernie McCabe) a/k/a "State Attorney" and the Chief Public Defender for Pinellas County (Bob Dillinger). The fact that McGrady, McCabe and Dillinger colluded on this civil rights assault underscores the need to prosecute them all to the fullest extent of the law, and hold the Pinellas County municipality civilly responsible for the damages they have caused. Folks, you just can't make this stuff up, but it should scare the hell out of everyone.